Wholesale Trader of a wide range of products which include ac geared motor, brake motor, flameproof motor, helical geared motor, inline helical motor and mounted geared motor. ABB's brake motors are standard motors modified for braking duties, The electromagnetic disc brake is powered, either DC or three phase AC current, from a rectifier located in the motor terminal box. With standard motors' dimensions and output ratings, aluminum frame. Our organization specializes in a qualitative range of Flame Proof Motors. Procured from authentic vendors of the market; our range is widely demanded in various chemical, petrochemical & mining industries, distilleries and fertilizer plants. Before the final dispatch, a team of quality controllers inspect these on varied parameters to ensure their defect-free nature. Clients can avail these products in various specifications at market - leading prices. Our most selling and most economical unit, the BG gear motor, sets new standards for reliability and economy and includes unparalleled standard features. An inverter friendly design provides for easy integration now and a truly future proof solution. Inch or metric dimensioned output shafts are standard providing for easy integration into all your applications. The BG gear motor offers total flexibility in mounting options includes foot, base, face, and flange solutions. The motor terminal box can be mounted in alternative positions rotated in steps around the motor frame providing for unparalleled integration possibilities. 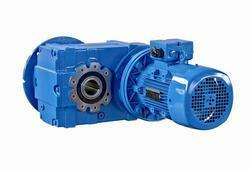 The Dodge Quantis Product Line is a modular gear drive engineered for flexibility and power density in a compact housing design. A wide variety of mounting configurations and accessories make the Quantis an ideal solution for many industrial applications. The exclusive E-Z Kleen finish is available for tough washdown applications.Quantis ILH gearmotors include IEC rated motors which have NEMA Design B torque characteristics offering up to 50 percent more stating and overload torque versus competitive products. This means more torque is available when cold or fully loaded starting is required, ensuring equipment gets moving. 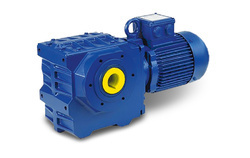 Our reliable Mounted Geared Motor sets new standards for reliability, efficiency and economy and includes unparalleled standard features including hollow shafts in the smallest sizes. An inverter friendly design provides for easy integration now and a truly future proof solution. 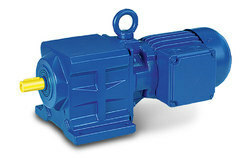 The BF gear motor offers total flexibility in mounting options includes shaft, base, face, and flange solutions. The motor terminal box can be mounted in alternative positions rotated in 90° steps around the motor frame providing for unparalleled integration possibilities. 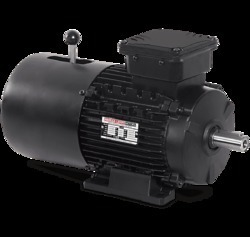 BF gear motors comply with North American and International standards, including NEMA, IEC, CSA, and CE, the BF series allows for worldwide acceptance, a true total solution for our global customers. Full rated output is available at the output shaft of the unit. Power rating Up to 5,5 kW. BS gear motors are economical, right-angle, worm-geared motors that install easily in the tightest applications. Economical right angle worm geared motors set new standards for reliability, efficiency and economy with unparalleled features including hollow shafts in the smallest sizes. An inverter friendly design provides for easy integration now and a truly future proof solution. 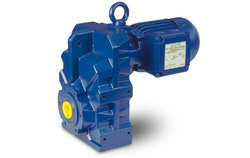 The BS gear motor offers total flexibility in mounting options includes shaft, base, face, and flange solutions. The motor terminal box can be mounted in alternative positions rotated in steps around the motor frame providing for unparalleled integration possibilities. 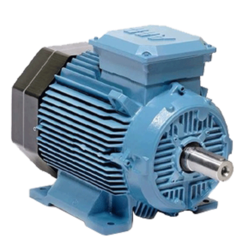 BS gear motors comply with North American and International standards, including Full rated output is available at the output shaft of the unit. Our clients can avail from us superior quality Electric Motor. These face mount motors are made from high quality of raw material which ensure durability at its user end. 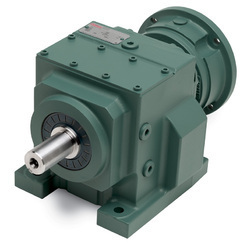 We offer Altra Worm Motor. 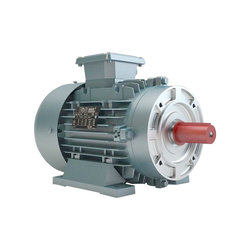 We offer Hollow Shaft Motor. 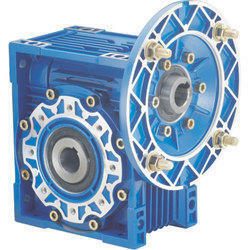 We offer Havells Brake Motors. Altitude Not exceeding 1000mtrs above mean sea level. Voltage 415V +-10%, 3 Ph. Loading at reduced volts 75% Rated volts for 5 minutes. 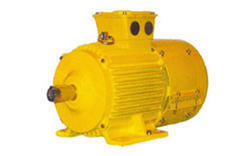 We offer Crane Duty Cage Motors. Looking for Electrical Motor ?